Stan Forsyth is one of the top coyote trapping experts in Canada !!! This video will teach you everything he knows !!! 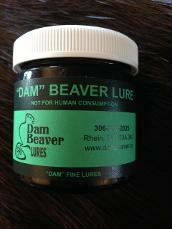 Now available at Dam Beaver Trapping Supplies !!! Ready for any leg-hold trap. Give them a try and let us know how they work for you! 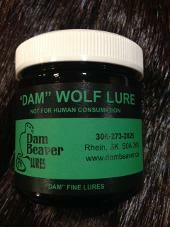 The old lumberjack cannot refuse this heavy paste lure - it is spiced with rare oils and glands. Different from any other lure on the market ! Formulated for the extreme winters of Canada in mind. This one contains the pure quill skunk essence, for long range. A sweet blend of undertone odors makes this one superior for a wide variety of animals. Sure to become your personal favourite on the trapline!! 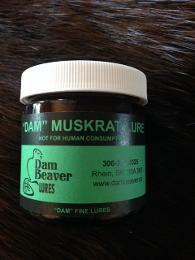 This old formula contains a blend of glands and special musks properly seasoned. You can count on this lure to attract them in and work your sets. 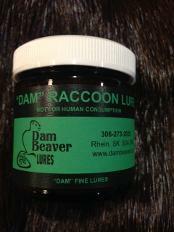 Developed for cats, fox and coyotes. 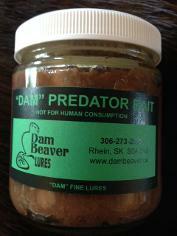 An excellent sweet-smelling curiosity bait for all types of predators. Will work on anything from weasel to wolf. 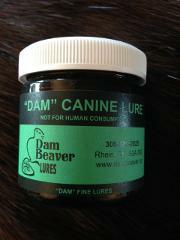 This viscous-type base is jam-packed full of natural authentic glands, and curiosity agents to attract any furbearers. 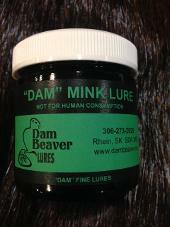 Specially formulated to attract the mink. No other rascal lure on the market like this one!Very bold and spicy - they can't pass this one up! 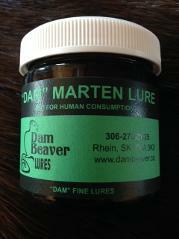 This heavy based marten recipe contains no skunk essense, but don't underestimate its true calling power! It's extremely attractive to the weasel family! A heavy gland-based Passion Potion ! This scent reeks of the real wolf ! 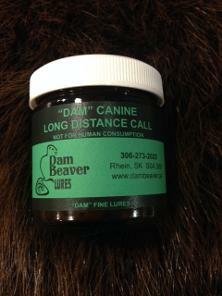 "DAM" CANINE LONG DISTANCE LURE…. 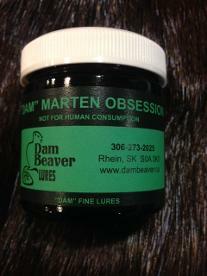 Developed and formulated for the harsh winters of the north! This thick-based lure will appeal to all canines, because of its carefully blended food base undertones and seasoned skunk musk pods. This not a one-punch lure. Soon to be your favourite on the line! We now handle SPLIT WOLF BOARDS. 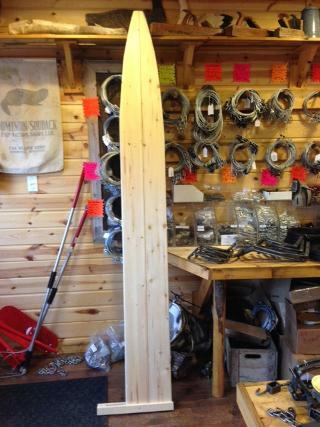 These boards are of excellent quality and are 8' long. Locally made. Unable to ship by Canada Post or bus, due to the size, so pickup orders only. They are approximately 30" long x 12" diameter. These are locally made and are of excellent quality. 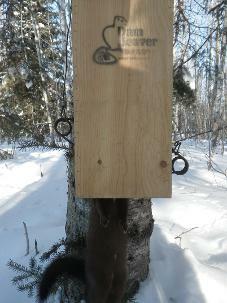 Locally hand-made WOOD MARTEN BOXES made to fit most 120/155 size body grip traps. 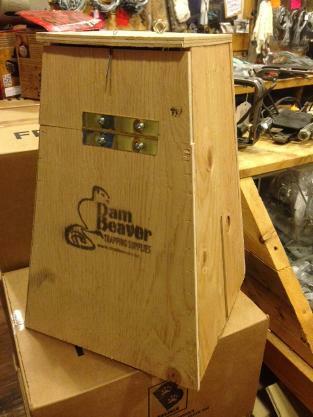 These boxes have a separate bait container with hinged door. 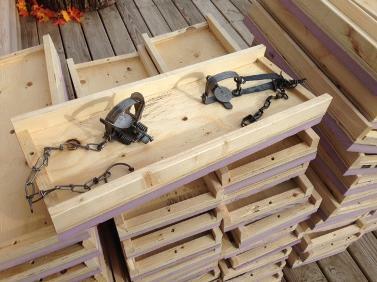 Long and deep, they are ideal for marten trapping ! 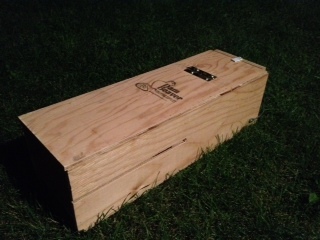 We now also have in stock 160 size wood boxes for fisher. 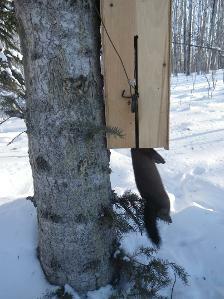 Marten boxes in action (below) - This was a bonus mink in a marten set!! !